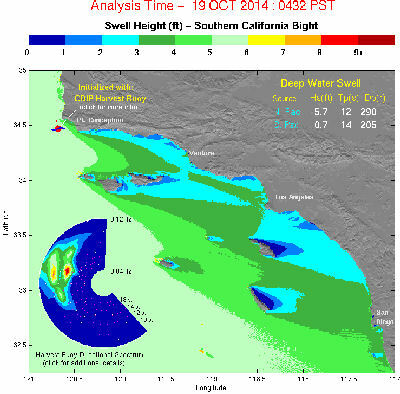 However, sometimes the swell map is not so accurate. I’ve called dives after seeing similar maps, only to be told afterwards that conditions and visibility were great. 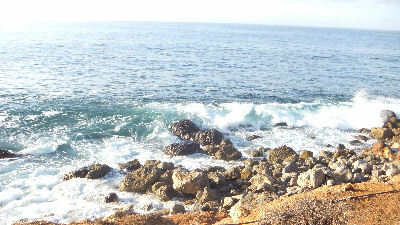 I drove to Palos Verdes for a look, and hopefully a dive. I arrived at 8:03 AM; three other divers known as the “Set Builders” were gearing up. 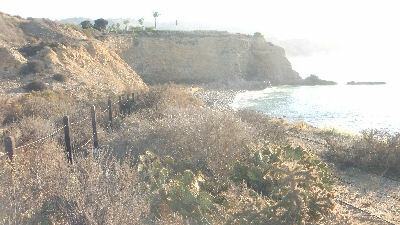 Apparently, they had checked the other places in Palos Verdes, and this was the least worst. I walked down to see the conditions for myself. There was no way in hell anyone was going off the Point. 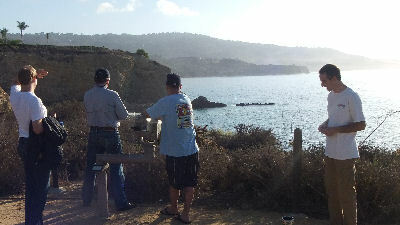 I met Reverend Al, Randy and Eric as I was checking out the Point; Dash showed up later. “I think I might go home and just do some push ups,” Reverend Al said. We studied the conditions at the Cove. The cove was divable, but the visibility was questionable – the foam on top and the fact that it had been pounded for the last day or so gave us doubts. After a rouge wave crashed against the Cove, we called it. We wished the Set Builders a good dive and watched them enter in a very unique way – they sat on a rock, put their fins on and crawled out, into the water. That’s actually the way I was originally taught to enter, but I quickly learned the stand up way after a wave threw me against a boulder. 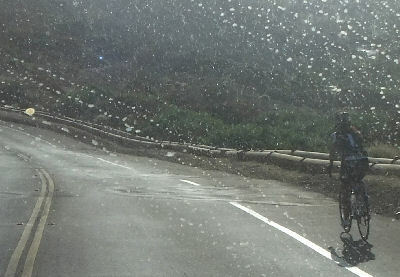 Driving home, I realized how dumb some of the laws in California are – they state Nazis have banned plastic bags and incandescent lights, and as of last month, a driver must give three feet of space when passing a bicyclist. But in Palos Verdes, it is impossible, and the law can easily turn into a money grab for the Police. 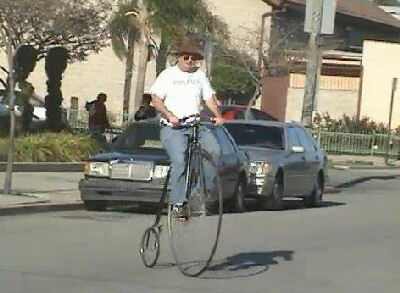 Bicyclist rarely ride on the right side of the bike path, but mostly on or close to the line. The car lane is 9 feet wide, my truck is 6 feet wide, which doesn’t give me much leeway when I pass a bicyclist who is going 15 miles an hour, as I’m going 45. 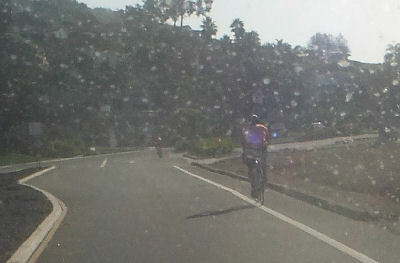 Which is the cheaper ticket – passing a bicyclist closer than three feet, or crossing the double yellow line? Sometimes it’s just a curb on the other side… slow traffic down to a bicyclist’s pace until there’s a way to pass? I don’t really think there’s a way to enforce this law, and if my radio worked, I probably wouldn’t have even been thinking about this. The Underwater Pumpkin Carving Contest will be at Veterans Park this coming Saturday – stay tuned! Another dumb filler post. Thanks.